Tomorrow the 2nd November is All Soul’s Day, and it brings back many memories of this day in KGF when we were growing up. The Cemetery in KGF has the graves of three generations of our family on our paternal side. All my dad’s ancestors lived and worked in KGF since almost the beginning of the mines in the late 1800s. My dad’s forefathers came in from England and Scotland to earn a living in KGF and eventually died in this place. 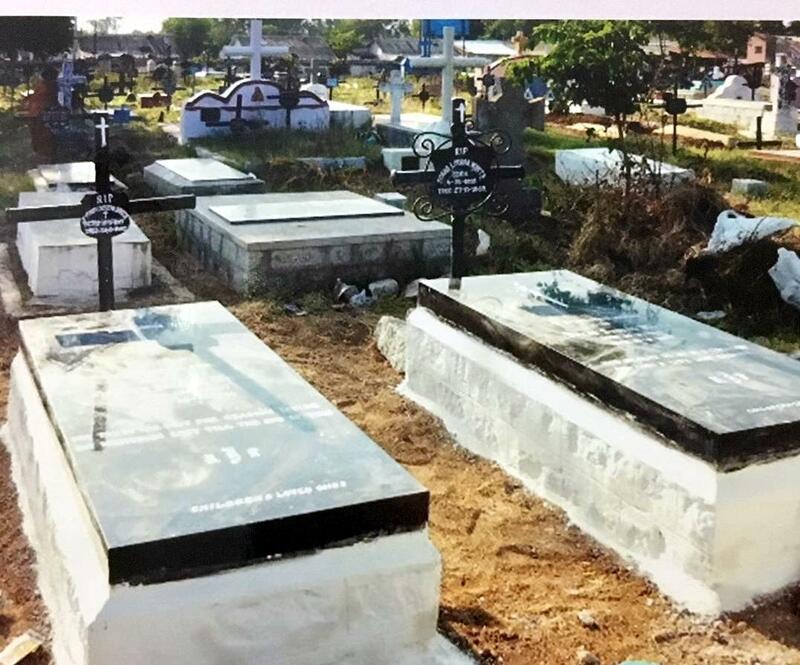 There are almost sixty graves of our family members in the Catholic Cemetery in KGF. The Cemetery also has a number of graves of other old families of KGF. There are also graves of many Britishers, Italians, French, etc. who were all employees of the KGF Mines and who died there either naturally or as a result of the Rock Bursts and accidents underground in the mines. Most of these graves lie unattended and forgotten as their dependents are no longer in KGF. A week before All Soul'd Day, my dad would send a team of his workmen to the Cemetery, to repair, clean, paint and generally do up all the graves of our deceased family members. His workmen would work really hard painting the graves and getting the surroundings cleaned.